You know when you think you have unfinished business with something and you feel the need to do something about it? This is how we feel about going back to The Village, an historic building over 200 years old with a varied and interesting history. We brought an EXCLUSIVE live Facebook Ghost Hunt a few week backs, attracting 10,000 viewers on the night and from a paranormal point of view it was a very active night. HauntedLIVE are a team of 7 ghost hunters, we're not scientists, we're not experts, we're mates with an interest in the paranormal, we get scared and spooked just as much as everyone else (ahem - some more than others), we don't go on social media bigging ourselves up to the next best thing, what we do is that we actually have a laugh, have some fun and go to locations and hunt for ghosts. 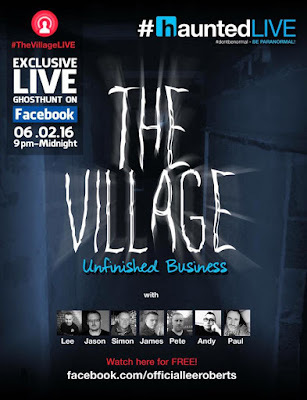 The difference about HauntedLIVE is that it is an exclusive live event that you can watch via your Facebook account, it's not on Periscope, it's not streamed, it is LIVE on Facebook, something which we don't believe that any one else is doing at the moment (hey, if we're wrong let us know). You can watch LIVE as we investigate, you can interact, telling us where to go, what you see, what you hear, what you see is what you get, no editing, no carefully selecting the best bits out of an all night ghost hunt. At sometimes we'll talk over each other, we'll burst out laughing, we'll all suddenly shut up and say "what was that? ", we just don't know, there's no script, no autocue, no pretence. WHY ARE WE BACK AT THE VILLAGE? Well, we talked about unfinished business earlier, the last time we were there was probably the most active night we've experienced during our LIVE broadcasts. As well as the usual taps, bangs and creaks, we all heard footsteps, whispering, saw shadowy figures and as daft as it sounds felt like we were being watched and toyed with as if it was some kind of game. 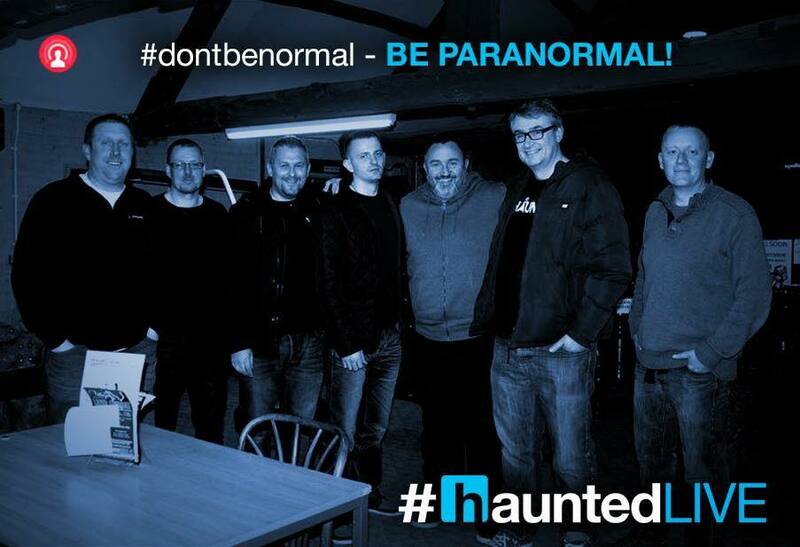 Yes, we know it is the paranormal and when we go back on the 6th of February, it could be totally different, but we would love you to join in and watch us, interact with us, talk to us, tell us what you hear, what you see and where to go. HOW CAN I WATCH? All you need is a Facebook account, go to Lee Robert's official verified Facebook page and you can watch the drama unfold LIVE. Also you can watch again after the live recording has finished. You don't need On Demand, you don't need to catch up on +1. We hope you can join us on Sunday the 6th of February, we'll be live from around 9pm, we may do a few intros before, but hey this is LIVE, anything can happen.